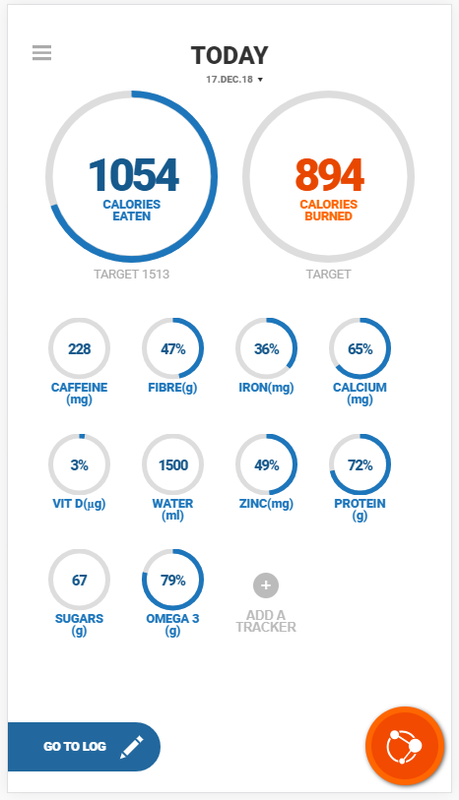 Libro has been designed to be as user friendly as possible, with a main home screen with which can be personalised with nutrition and health trackers and various displays relevant to you and your lifestyle goals. A tracker is an element of your diet or lifestyle that you wish to monitor for example, your vitamin D intake. 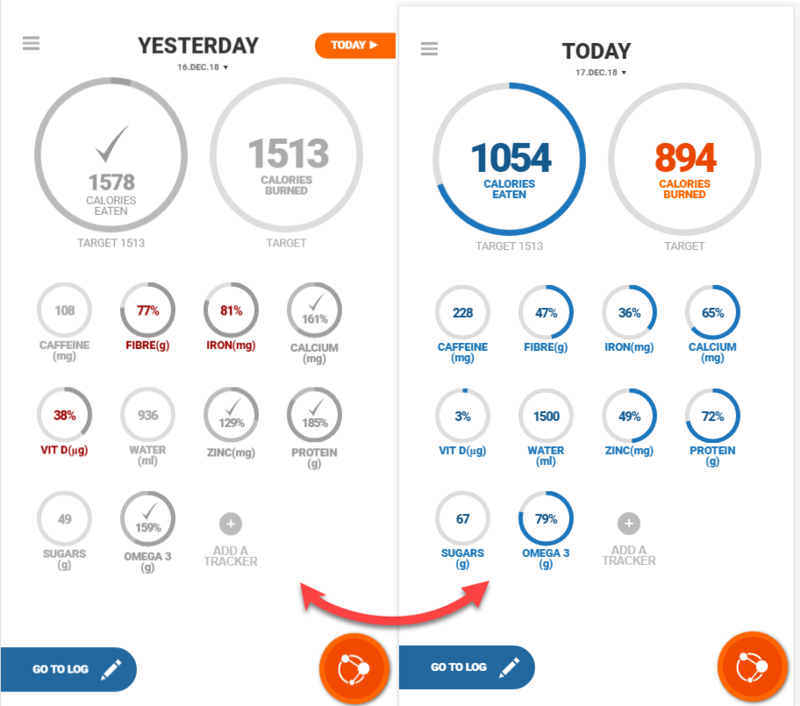 Your home screen is tailored to what you and your nutrition professional want you to see. This home screen can be personalised to include trackers of choice. Your display will also show your calories eaten and calories burned for the day. If you click on ‘Today’ you will access a calendar where you can search previous days. 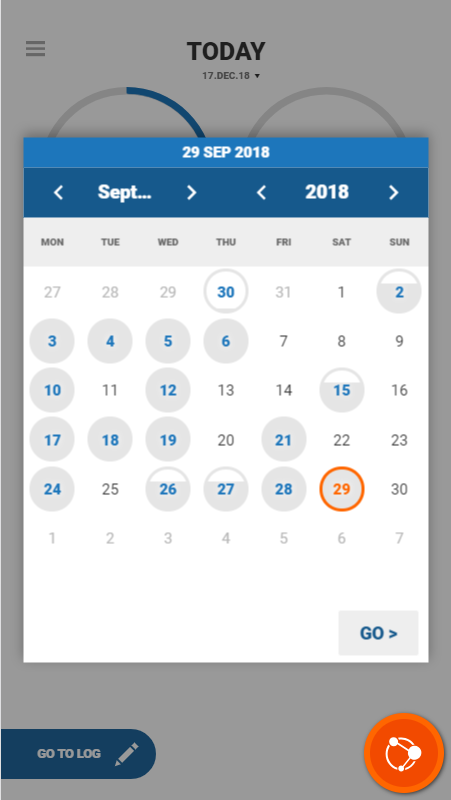 Circles filled indicates the day you have logged on Libro on that day. Days can also be changed by swiping left and right on the home screen.